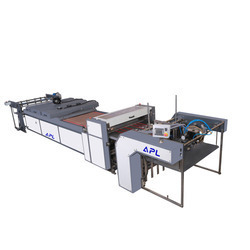 Our product range includes a wide range of fully automatic uv coating machine, fully automatic roller coating machine, drip off roller coating machine and roller coating machine. 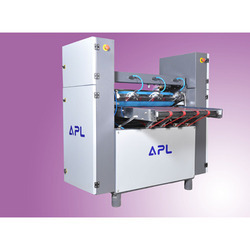 We are one of the well known manufacturers, exporters, traders and importers of Fully Automatic UV Coating Machine. The offered machine applies cured ultraviolet coating on the surfaces of sheets of materials such as paper. 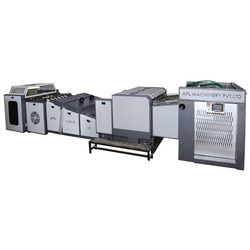 Our offered machines print the surface with ink and then get the ink dried by ultraviolet radiation. The offered machines facilitate the surface reflection and gloss. Our offered coating machines can flood the sheet with ink, to make a full UV protected sheet. We are one of the leading manufacturers, exporters, traders and importers of Drip off Roller Coating Machine. The offered drips off machines are used to provide a matte effect on the coated surfaces. Our offered drip off machines first provides a matte coat to specific areas and then put a full gloss on the sheet surface, thereby letting the gloss leave the matte surfaces untouched. 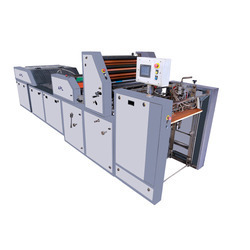 The offered drip off machine is an advanced variant of the conventional machines. We feel proud to introduce ourselves as one of the well known manufacturers, exporters, traders and importers of Roller Coating Machine. The offered roller coating machines offer coating at variable speed drives. Our offered coating machines are known for the noiseless operation. The offered roller coating machine is compatible with rubber rollers for the ultraviolet coating and curing. Our offered coating machines are available at a very affordable market price. Looking for Roller Coating Machine ?